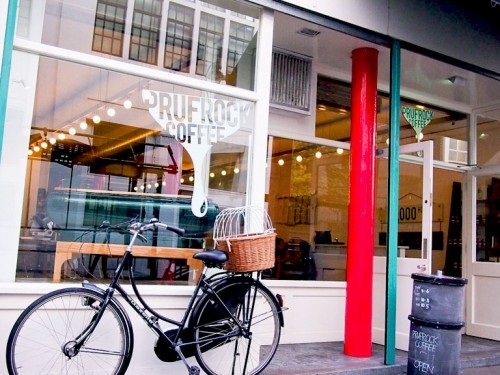 Prufrock Coffee is run by Gwilym Davies, a former World Barista champion who takes the art of Coffee – making very seriously indeed. 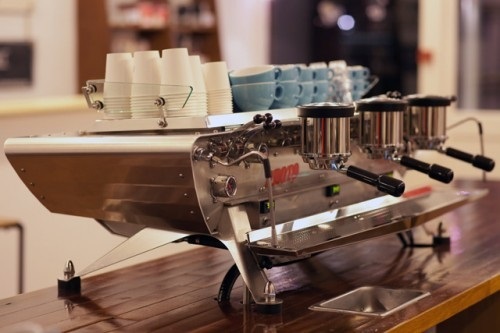 To show how serious, there is in the Leather Lane Coffee Shop the Barista Resource and Training centre (BRAT) where Baristas develop and hone their skills. 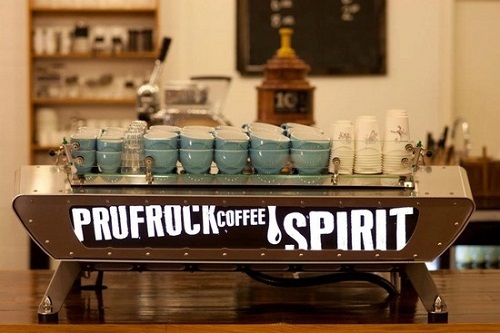 Everything in Prufrock oozes quality even to the point that the Coffee Shop has its own in house baker. By londonvisitors2014 in London Coffee Shops on May 10, 2014 .